Contractor: Poole Anderson Construction, Inc. The Benner Manufacturing Company Complex was constructed in 1907 and received several additions beginning in 1920 and completed in 1934. In 1934, the property was sold to the Safe Padlock and Hardware Company and continued to own and operate the facility until 1961. 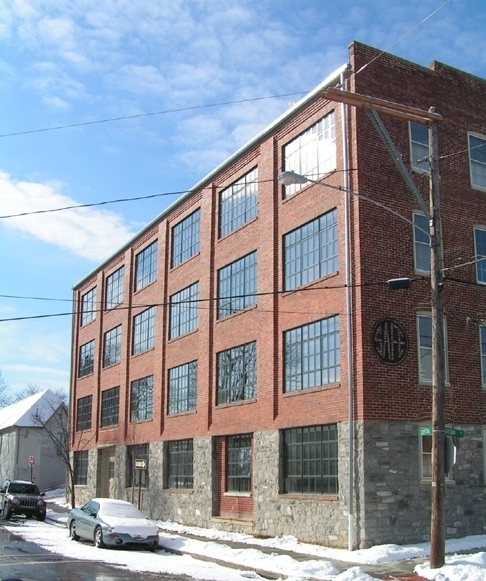 In 1966 Schwalm Realty Company bought the property and in 1969 until Theodore Schwalm began manufacturing clock dials. The Schwalm company continued to operate in this facility until 2001 and the building has since been vacant. In 2008, the building was adapted to provide 31 one-bedroom apartments and 9 two-bedroom apartments.